Sawari Dibba Punarnirman Karkhana West Central Railway (WCR) Nishatpura, Bhopal invites applications from eligible candidate to apply ON-LINE through website https://www.mponline.gov.in/portal/Services/RailwayRecruitment/frmhome.aspx for 200 Trade Apprentice of Fitter, Welder, Electrician, Computer operator and programming assistant [COPA], Secretarial Assistant (Hindi/English). 10th with 50% marks and ITI in Fitter Trade (NCVT/SCVT). 10th with 50% marks and ITI in Welder Trade (NCVT/SCVT). 10th with 50% marks and ITI in Electrician Trade (NCVT/SCVT). 12th and ITI in COPA Trade (NCVT/SCVT). 12th and ITI in Secretarial Assistant Trade (NCVT/SCVT). Selection Process: Candidates will be selected based on 10th marks merit, Documents Verification. 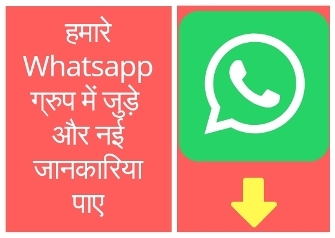 How to apply for Sawari Dibba Punarnirman Karkhana Bhopal Recruitment 2019? Go to the webpage of the WCR https://www.mponline.gov.in/portal/Services/RailwayRecruitment/frmhome.aspx. Select your trade and click on it. Sir Maine railway apprentice ka fome apply Kar Diya hai.to hame iski jankari Kaise millegi.